Coolant- Hydrogen is commonly used in power stations as a coolant in generators due to anumber of favorable properties that are a direct result of its light diatomic molecules. Coolant- Hydrogen is commonly used in power stations as a coolant in generators due to anumber of favorable properties that are a direct result of its light diatomic molecules. Energy carrier- The energy density per unit volume of both liquid hydrogen and compressed hydrogen gas at any practicable pressure is significantly less than that of traditional fuel sources. Elemental hydrogen from solar, biological,or electrical sources require more energy to make it than is obtained by burning it, so in these cases hydrogen functions as an energy carrier, like a battery. Semiconductor industry- Hydrogen is employed to saturate broken bonds of amorphous silicon and amorphous carbon that helps stabilizing material properties. Biological reactions- H2 is a product of some types of anaerobic metabolism and is produced by several microorganisms, usually via reactions catalyzed by iron or nickel containing enzymescalled hydrogenases. These enzymes catalyze the reversible redox reaction between H2 and its component two protons and two electrons. Creation of hydrogen gas occurs in the transfer of reducing equivalents produced during pyruvate fermentation to water. 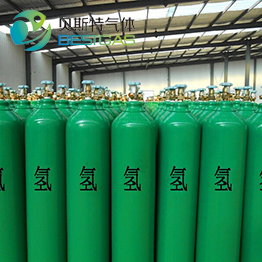 Safety and precautions- Hydrogen poses a number of hazards to human safety, from potential detonations and fires when mixed with air to being an asphyxiant in its pure, oxygen- free form. In addition, liquid hydrogen is a cryogen and presents dangers associated with very cold liquids.Hydrogen dissolves in many metals, and, in addition to leaking out, may have adverse effects on them, such as hydrogen embrittlement, leading to cracks and explosions. Hydrogen gas leaking into external air may spontaneously ignite. Moreover, hydrogen fire, while being extremely hot, is almost invisible, and thus can lead to accidental burns. Hydrogen is the lightest element on the periodic table. Its monatomic form (H) is the most abundant chemical substance in the Universe, constituting roughly 75% of all baryonic mass. 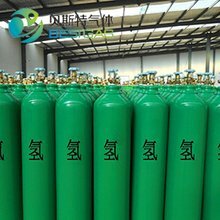 Hydrogen is a colorless, odorless, tasteless, non-toxic, nonmetallic, highly combustible diatomic gas with the molecular formula H2. Since hydrogen readily forms covalent compounds with most non- metallic elements,most of the hydrogen on Earth exists in molecular forms such as in the form of water or organic compounds.